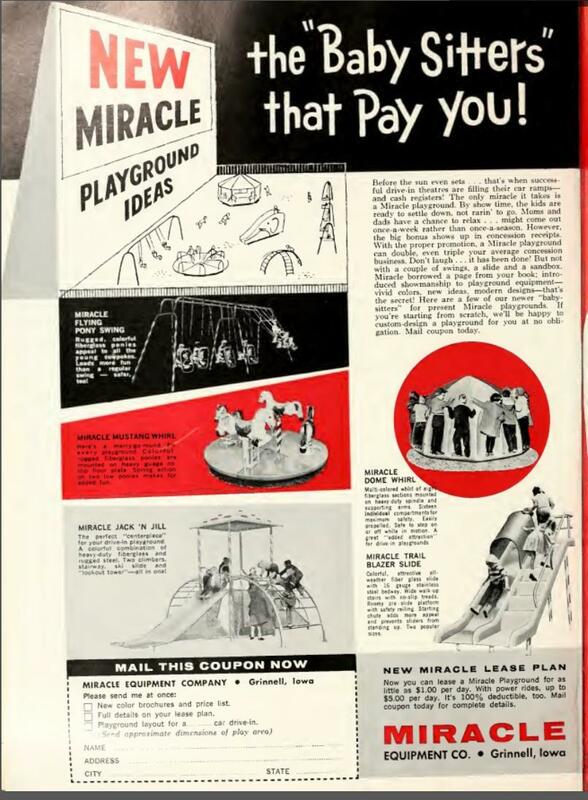 "... and just imagine the excitement when the Miracle Space Ship lands on your playground! 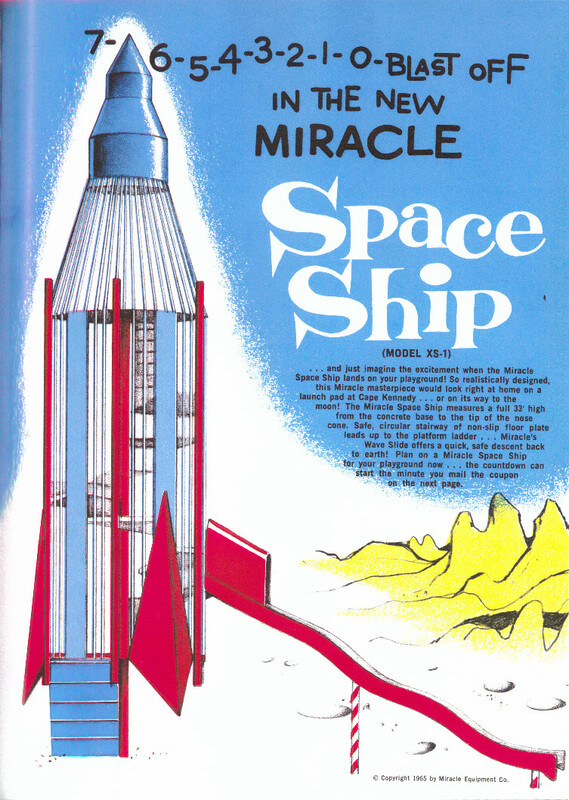 So realistically designed, this Miracle masterpiece would look right at home on a launch pad at Cape Kennedy... or on its way to the moon!" Shared by Nels Olsen (cc). "The space age child of today isn't a bit different. He loves to play. It is more difficult for him to hike the country now or walk the railroad ties. Thousands of country sides of yesterday have become parts of a complex city of today. Today, it is more difficult for him to create his own playground. Let a Miracle Engineer help you!" Shared by Nels Olsen (cc). "Before the sun even sets.... that's when successful drive-in theatres are filling their car ramps--and cash registers! 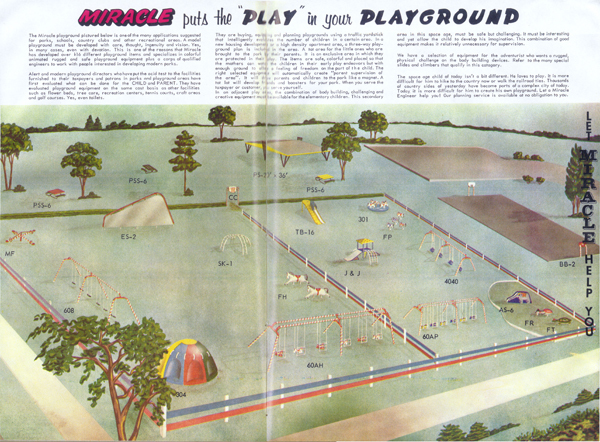 The only miracle it takes is a Miracle playground. By show time, the kids are ready to settle down, not rarin' to go." Shared by Nels Olsen (cc). 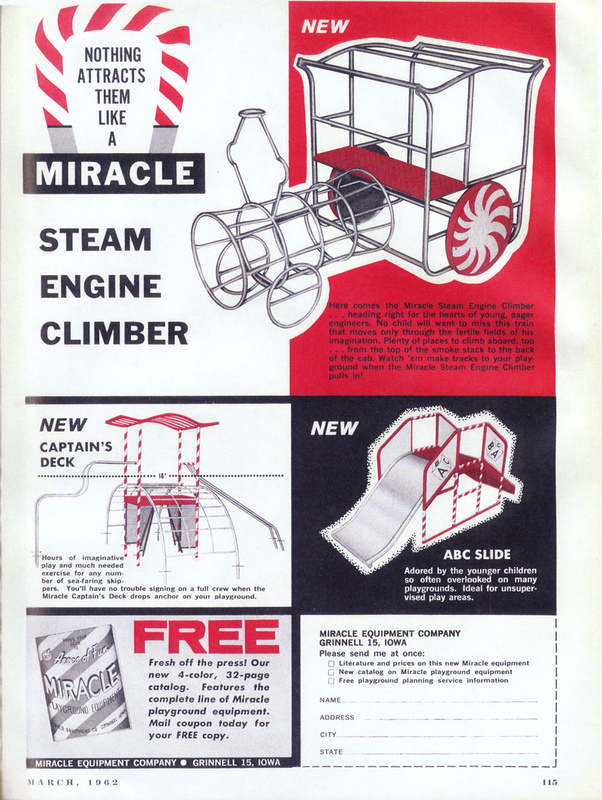 "Here comes the Miracle Steam Engine Climber... heading right for the hearts of young, eager engineers. No child will want to miss this train that moves only through the fertile fields of his imagination." Shared by Nels Olsen (cc). For more great ads, visit Nels Olsen's photo set here.